Renovate your roofline and prevent the weather from damaging your home. Protect vermin from entering and create better sightlines at the same time. Contact us for advice and prices today. Renovate your roofline if it is showing signs of wear and tear so that you can prevent expensive and time-consuming problems from occurring. Your fascia protects your roof from weather elements and stops damp-related issues from occurring. It also stops wildlife from entering your roof space. Guttering drains away rainwater and ensures that it’s properly disposed of. Soffits keep the underneath of your roofline dry and protect your rafters. Contact our friendly team to find out how we can help you preserve your roof and provide you with a long-term product that’ll be a long-term investment. Fascias play an important part in the preservation of your roofline. By screening off entry points into your roof at the end of the rafters, they stop vermin from entering, A fascia will also stop weather from damaging this very visible part of your home, which means your home will communicate improved sightlines. The soffits attached in board form to the underneath section of a roof. Their role is to stop your rafters from becoming wet. If your soffits are constructed from wood - which is quite likely- they will permit water to enter once they have deteriorated. uPVC is more commonly used in rooflines, as it longer-lasting. Although everyone knows what guttering looks like, its purpose might not be immediately obvious, Its job is to collect rainwater and divert it away from your home and its foundations to prevent damage. If your guttering is clogged with debris, it will overflow and cause harm to your property and the area around it. Our guttering is made from uPVC, which is much stronger than timber. It won’t deteriorate when exposed to hot or cold weather and will continue to protect your roofline for many years. Invest in high quality products installed by a company with extensive experience of completing home improvement projects near you. By renovating your roofline, you’ll be performing two important jobs. Most importantly, you’ll be preserving it. But your new soffits, fascia board and guttering will also reward you with much-improved sightlines. When the time comes to sell, vendors won’t be put off by a rotting roofline that’s letting in the weather. Fox Windows covers Kenilworth, Leamington Spa and the surrounding areas. We offer a wide range of services, including roofline and double glazing. Ask for more information when contacting us, we can act as a one-stop shop for all your home improvement needs. Contact us today for advice and a free quote. If your soffits and fascias are functioning normally, we can simply replace the guttering. Just let us know what work you need doing when you call. Whether you need to renovate your entire roofline or just part of it, the products we use will be just as good and you’ll benefit from the same close level of service. Although our soffits, fascias and guttering are of the best quality, you won’t need to think twice about the price. Our quotes are very fair and, in the long-term, your new roofline will be much cheaper than having to repair the damage caused by environment and wildlife. Contact our team today for a free quote. 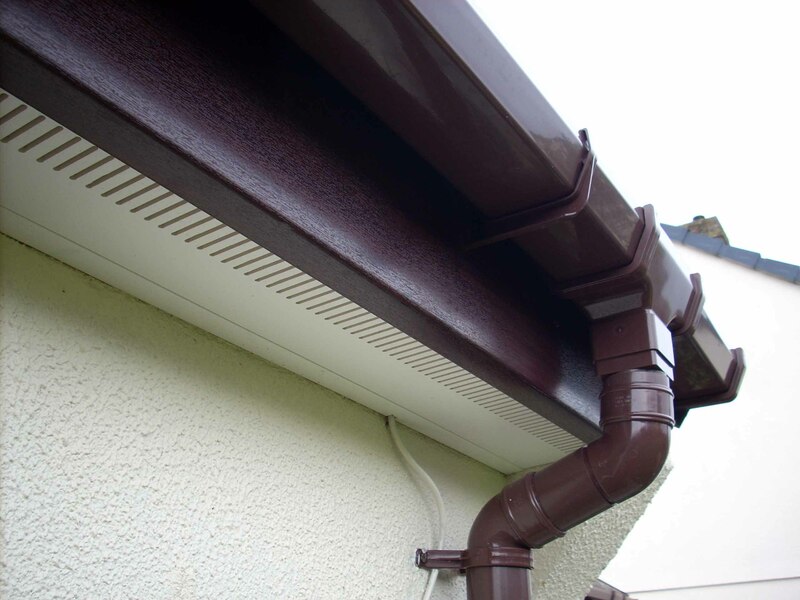 We’re confident that your new soffits, fascias and guttering will last. If for any reason they fail, you’ll be protected by a warranty. The Fox Windows and Doors team will be happy to help you in the event of a problem and will take steps to rectify the issue quickly. We pride ourselves on providing a fast, friendly and efficient service. Our soffits, fascias and guttering is sourced from a partner known for the market-leading quality of its products, We’re confident that your new roofline will look stunning and perform as expected. For more information about the uPVC products that we sell, ask our team when speaking to us about your requirements. Bring your roofline to life and stop it from deteriorating. Ask Fox Windows & Doors to install new soffits, fascias and guttering. Call or email today for free advice and a quote.